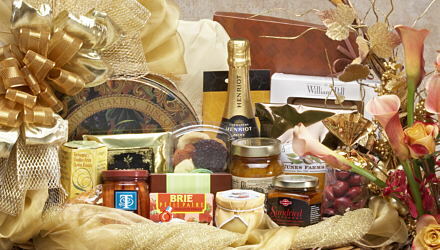 Since we started our business in 1987 the quality of the goods we offer has been one of our top priorities. 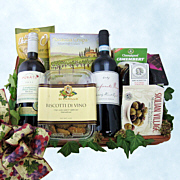 On this page you will find some of our top selling gift baskets from all catagories. 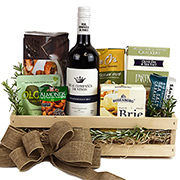 We're confident you will be pleased with the results. 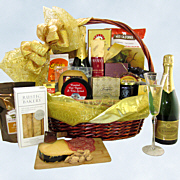 At the Platinum Level you expect only the best and that's certainly what you get here. 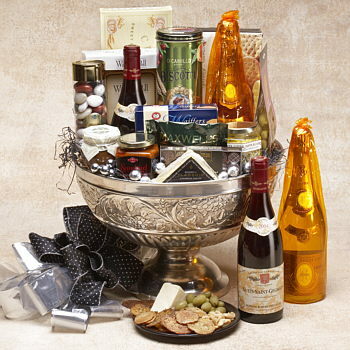 The gorgeous embossed silver urn, the Cristal champagne, Domaine Robert Chevillon Nuit St.George Burgundy, Beechers Flagship Handmade Cheddar, Michel Cluizel chocolates and French Olives are just the beginning. What Happened to Great Taste? 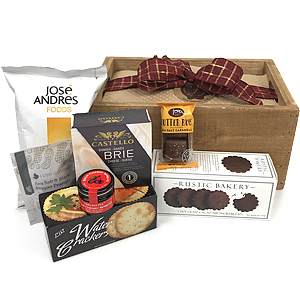 Okay, this is something of a rant, but it's something that really irks me about the gift basket business. 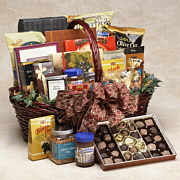 We get catalog after catalog from companies who want us to buy their product for our baskets. 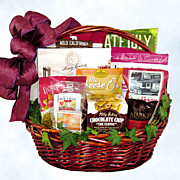 They promote "basket components" and "great size and packaging". Why don't any of these places promote "Great Taste?" 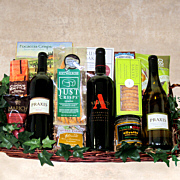 Shouldn't that be the number one priority for a gift basket? 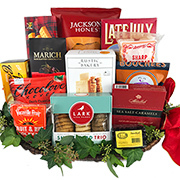 We promise to always make Great Taste the first priority in anything we put in your gifts.